In addition to its massive graphical upgrade, Final Fantasy X/X-2 HD Remaster is filled with bosses, dungeons, and side quests never before seen outside of Japan. But there is one thing included that is completely new: a thirty-minute audio drama that has me hoping for Final Fantasy X-3. Taking place a year after the end of Final Fantasy X-2, this audio drama, called Final Fantasy X –Will–, follows two new characters: Chuami and Kurgum. Both are members of the new Spiran Council that have been tasked with persuading Yuna to help with a problem involving the Farplane. Along the way, they encounter about half of Final Fantasy X’s main cast and we learn a lot about the state of the world after Final Fantasy X-2—especially how those only now coming of age feel about the old religion and living in a world without Sin. But more than that, we get to see the start of a new calamity that threatens to destroy the hard-won Eternal Calm. However, what I enjoyed most about the audio drama was the character of Chuami. She serves as the viewpoint character for the vast majority of the audio drama—and is a thoroughly unlikable character. She is arrogant, brash, and incredibly judgmental—especially of the characters we know and love. Yet, what makes her so entertaining is her potential as a character. All her vices are ones that can be utilized for great character development as they are overcome one by one over the course of a long journey—like say, a journey found in a JRPG. And to top it off, she comes with a backstory that is almost too awesome to be believed. If –Will– has one downside, it’s that almost too much happens in its mere 30-minute runtime. The characters transverse the world twice, dump a lot of exposition, deal with love and heartbreak, and even split the party into separate factions. So it feels a bit rushed to say the least. In the end, the audio drama provides an interesting setup should Square Enix decide to continue the Final Fantasy X series. And should "Final Fantasy X-3" come in game form or in another medium entirely, my interest has definitely been piqued. I'm definitely excited to see where it all goes from here. 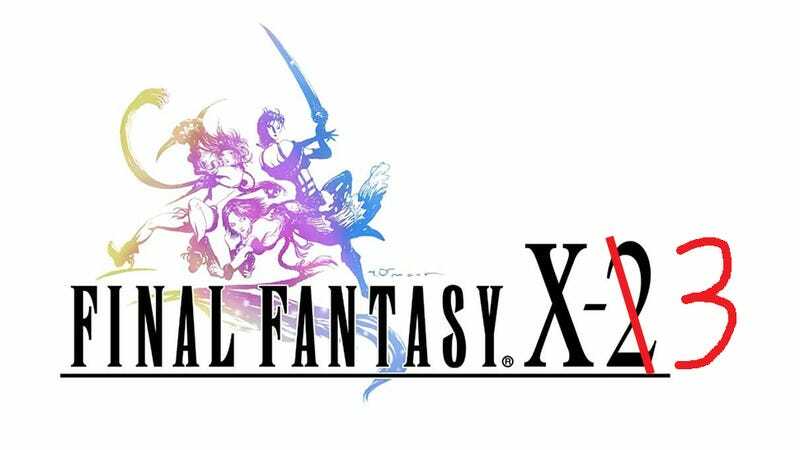 Final Fantasy X –Will– was released in Japan for the PlayStation 3 and PlayStation Vita on December 26, 2013, as part of the Final Fantasy X/X-2 HD Remaster. The remaster collection will be released in North America on March 18, 2014, and Europe on March 21, 2014.